The dust has settled and the panic over Google’s removal of right side ads on search engine result pages (SERP) has subsided. The search engine giant also added a fourth ad above organic results, but there are still a lot of marketers left wondering how the changes have and will affect their accounts long term. 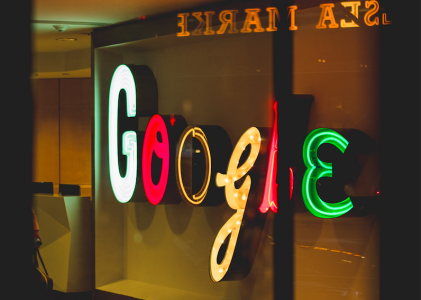 Acquisio’s Chief Scientist, Bryan Minor, discussed the Google SERP changes alongside Jacob Brown, Senior Account Manager at Hanapin and Erik Dafforn, President at Intrapromote. The three experts in data analysis, PPC and SEO spoke about what they each thought would happen before the February 22nd changes, how they have seen the changes affect their accounts across both paid and organic search, and what we can expect in the future regarding these changes (and more to come). What did we expect from the Google SERP Changes? 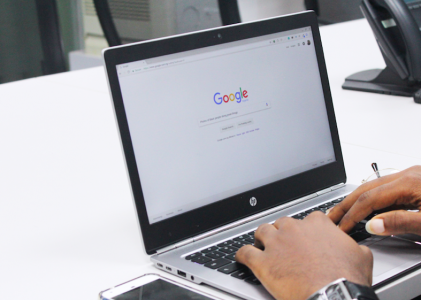 Before the right hand side ads were removed from Google, 74% of marketers would have bet their bottom dollar that the change would cause cost-per-click to increase across their accounts, according to the webinar poll. Most marketers anticipated that the removal of real estate on the page would make the auction more competitive, and prices would go up for the limited spaces available. Not many marketers predicted other outcomes, like an increased investment in social PPC, or less conversions. While an increased cost per click was the primary concern for most marketers, it wasn’t the main concern for the expert panelists. People’s overreaction would cause an increase in CPC, not the algorithms themselves. His first concern wasn’t around cost, but on how the changes would affect traffic from paid search. With more ads showing on the top of the page, Brown predicted that there’d be a rise in click through rates and a decrease in impression share because there would be fewer ads up for auction. His main concern was learning whether he would see more clicks per auction or not. Brown’s second concern was related to an increase in CPC, but not as a result of the algorithm change, as a result of people’s overreaction. If people raise bids to get back on the top of the page, that’s where he thought the rise in CPC would come in. For companies that are more traffic oriented, increasing their bid and paying a lot more per click would bring everyone else’s bids up. Bryan Minor, from Acquisio, who spends his days building algorithms and analyzing data, shared many of Brown’s predictions. He thought there would be only a small impact, because there are more people on mobile now, which was unaffected by these changes. Also, concerning small businesses, spending less than $1,000 on PPC ads, he predicted that these type of marketplaces wouldn’t be affected because the competition is lower. Minor was also concerned with manual price inflation, assuming, like Brown, that people would raise their bids to keep their placement. Lastly, Bryan was curious to see if Acquisio’s algorithms would compensate for these changes quickly to deal with potential price inflation. Erik Dafforn, who is the SEO specialist and President of Intrapromote, focused his concerns on how organic results would be affected. Typically algorithmic roll outs by Google are of little concern to SEO professionals, but Dafforn was a little more worried because we didn’t know what percentage of queries would be affected. Everyone in SEO still remembers when Matt Cutts revealed Google’s “keywords not provided” changes, saying “even at full roll-out … would still be in the single-digit percentages of all Google searches on Google.com.” As we all know, keywords not provided is close to 90% for many queries. Organic search is fighting a number of factors for visual real estate above the fold, including knowledge boxes, extended product listing ads, extensions on PPC ads and more. Depending on how many queries this change affected, this had the potential to disrupt the SEO world more than traditional algorithm changes. When organic algorithm changes are revealed, for example concerning thin content or harmful backlinks, SEO professionals can make changes to comply with the updates to continue to rank, or even improve ranking. Changes to paid results are outside the realm of control, and could potentially move organic results down or off the page. So, were any of these predictions correct? How did the loss of the right side ads impact PPC and SEO? Looking at tens of thousands of campaigns from a month before and a month after the changes, the difference in CPC in North America is below 3%, said Bryan Minor of Acquisio. This minimal change to cost-per-click is an average across campaigns with manually controlled bids and algorithm optimization. Which means nearly two thirds of the results swung high or low. And while the average change was 3%, any given campaign could see a significant change in CPC due to the removal of right rail ads. With additional spaces at the top of the page (one extra spot available), overall, accounts picked up more clicks, explained Minor. Accounts analyzed by Acquisio saw 10% more clicks, and we’re also seeing higher CTRs. Overall, Acquisio clients got better placement and better results. On the flip side, the bottom of the page has been de-emphasized, and campaigns that were at the bottom are getting half as many clicks or less. In terms of what was not affected, Bryan found that, overall, average position saw no change. Of course there were outliers, as any case could see a change, but generally, there was no notable change that could be attributed to the loss of right rail ads. Mobile is also not affected. The Acquisio team actually uses mobile results as a control, to understand and make comments about the distribution of mobile versus non-mobile. For example, the 30% of CPCs recorded to increase by 10% and the 30% of CPCs that reportedly decreased by 10% were both seen for mobile results as well, which suggests that there were other factors, besides Google’s SERP changes, at fault. It could be a time of year issue, a competition issue, or something else, but it was not necessarily caused by the right rail change, which is interesting and further proves that the changes were mild. The results proved that branded content was not affected. Lastly, there is less effect with local advertising, because these campaigns deal with geofencing and have a limited marketplace and smaller number of competitors. According to Erik Dafforn, less than 5% of queries were affected by the right rail change, so luckily it did not meet any SEO professional’s worst fears. However, “This change hasn’t helped anyone in the organic space, but it hasn’t hurt everyone too much,” he explains. Most accounts have stayed neutral, and anyone who dropped in traffic only lost between 1-6%. For more competitive queries, one or two word queries for example, there’s more of the new four ad on top format, which pushes a result down or off the page. It boils down to how reliant companies are on head terms versus long tail keywords. If you’re SEO is reliant on longer tail niche terms, there’s is no change there, Erik confirms. 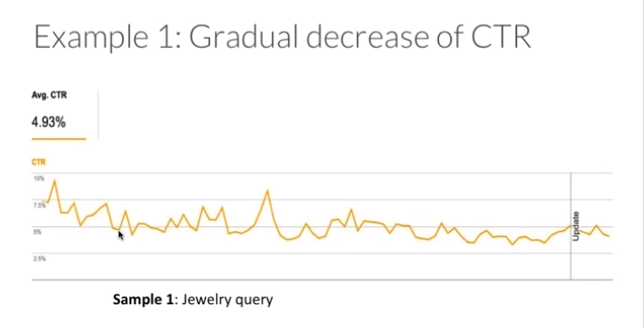 For a more competitive query, Dafforn provided an example of a client with a CTR normally between 7-8%, after the SERP changes this account averaged around 5% CTR or less, even though rank stayed consistent. The change starts where the cursor is on the image above, and gradually trends down over the months following the SERP change. This gradual decrease in organic click through rate makes sense because on the PPC side there is now a gradual increase in click through rate for ads at the top of the page. This means where a person clicked an organic result before, now they’re more likely to click an ad, by a small percentage. In another example, in the automotive industry, CTR went from 14-15% to around 10% despite being the first organic result on the page. This is a competitive two word query, which now has four ads on top rather than three, so there’s a lot going on at the top of the page before the organic results appear, which has directly affected the CTR for organic results ranking for this term. In a final example, in the medical field, CTR went from 9% to 6%. With no change in ranking or impression share* (the number of times a url appears in search results) there is nearly 40% less traffic to site for this one particular term. *This change didn’t affect SEO impression significantly, at most one organic result was bumped from the first page, but PPC ads had a more drastic impression share change, going from ten ads on a page down to sometimes as little as 4-2. Even though only about 5% of queries were affected, those that were impacted noticed a significant change. Since the right rail ad change, there has been a larger percent of impressions coming from the top of the page. Google top impressions percentage is a formula to understand what percentage of impressions are coming from the top of the page at Google, compared to top impression share before the change was implemented. To set up this formula, you would need to go into “custom metrics,” go into “top vs other,” in the top portion go into “Google,” and select the “top and other” option so you’re not looking into other search partners you’re only looking at Google traffic. You’ll see what percentage are on the top of Google compared to previously. Click through rates have gone up slightly since the SERP changes, impression share should go down slightly since the changes, and it’s important to understand which change outweighs the other. By running the above formula, this can help you see whether you got more clicks or less clicks per query. Jacob also segmented performance by industry, to understand who has been affected most by these changes. It turns out that when the end purchase is bigger, people are more aggressive when it comes to increasing CPC because those clients are focused on traffic rather than the immediate purchase. Smaller accounts are focused on the immediate purchase, and can’t afford to raise their CPCs because they’re looking at it from a direct ROAS standpoint. High-priced items, like diamonds, exercise equipment, etc, saw a 15% rise in cost per click, and click per query went up 22% so we’re getting a lot more clicks per search with medium sized budget clients (60-250 K). 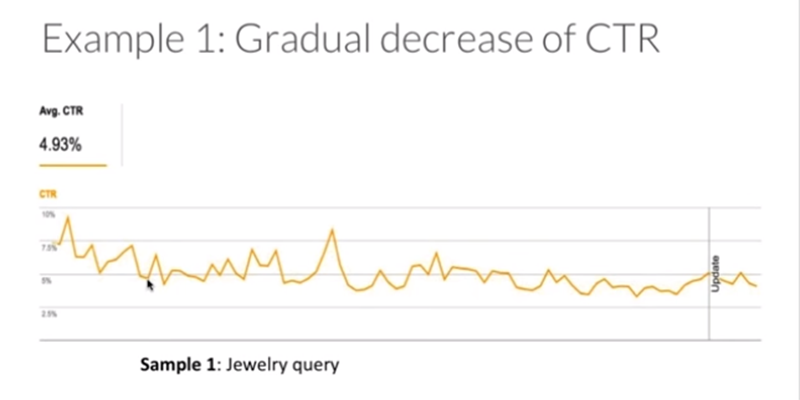 Low-priced items, like shoes, sunglasses, etc, had an increase in clicks per query, up 8%, while CPC stayed constant. For these types of products, the industry hasn’t gotten more aggressive comparably. Looking at lead generation clicks per query there has been a 36% increase in clicks per search result, and a 15% increase in CPC, confirming that the bigger the purchase the more likely it is to see an increase in both CPC and the number of clicks per query. What impact have most marketers seen? Showing that fewer people saw an increase in CTR than originally predicted (74%) but a significant amount of marketers noticed changes to their accounts. What do you think the landscape will look like in the future? Each panelist had their own predictions concerning what changes we can expect to follow. Bryan, from Acquisio, is confident that we will continue to see growth in mobile, which was not affected by these SERP changes, since mobile cost per click prices are still going down because the volume available is growing at a faster rate than advertisers can effectively use it. 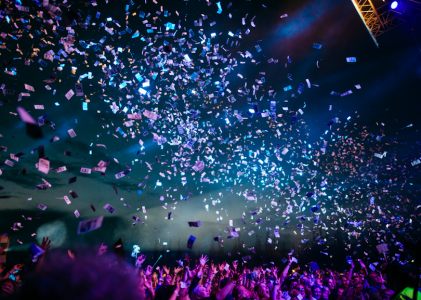 We can also expect to see Product Listing Ads take up bigger space on the page and there will be more of them present on the main listing in the near future, he says., which will continue throughout the year as targeting improves and adoption increases. Lastly, it’s a real challenge for most advertisers to handle all the data available to them, which is one of the main reasons we see such growth in algorithm optimization. Having the human at the right level at the loop is important, but moving forward Bryan predicts there will be an open market forming around algorithm optimization, where advertisers can pick the algorithms they want to use instead of picking the platform. Google’s number one product is relevance, and if they twist any knobs too far or make too many drastic changes, people don’t trust their results and they will go somewhere else. No matter what is to come in the future, Erik is confident Google will do what’s right for the searcher because that’s how they do good business. This has been a big change, affecting both SEO and PPC, but there are constant little changes that may add up significantly to look out for in the future. The best thing to do as a marketer is focus on providing the best content possible, that proves why you’re an expert, and leave the crawling and indexing and architecture to SEO specialists and providers. The next big change to prepare for concerns the length of ads. Also look out for different twists with copy, tests with bolding, and anything else that can get an ad to pop. More sitelinks will probably be allowed as well, to give PPC ads more room to play. Jason, like Bryan, predicts that Shopping Ads will continue to grow. We can expect to see shopping ads on their own space on the right, with space growing for more shopping ads in that section. Lastly, we should expect to see more betas around extensions that are mobile focused. Google is continuing to look at what helps click through rates from a mobile stand point, and will continue to focus on mobile improvements. If you’re interested in learning more, or you want a deeper dive into the past, present and future of Google’s SERP changes, watch the recorded webinar. Google to Sunset Converted Clicks, Should You Take Action or Not? Will Google’s New Four Ad Scheme Push Out Smaller Advertisers?